Please find below a list of texts that UKAFN feel are a useful resource, for those working in police custody or sexual assault examination settings. We are always keen to hear from members about other useful texts, or recommendations from authors or publishers of relevant texts. Please contact ukafnmembership@gmail.com with your suggestions. Forensic medicine covers an amazing range of different subjects & no single individual can expect to be an expert in all of them. 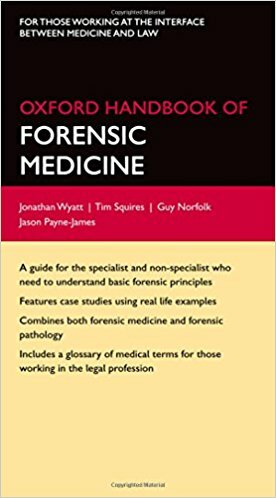 The Oxford Handbook of Forensic Medicine provides comprehensive coverage of all areas within this complex discipline. Written for specialists and non-specialists alike, it will appeal to practising forensic healthcare practitioners. It shows how forensic medicine has been used in specific cases enabling the reader to apply their knowledge in real life. A detailed glossary of medical terms. This easily-portable guide is essential reading for the busy clinical forensic nurse or paramedic, working in the police custody or sexual assault examination setting. An ideally sized book to keep in your desk or bag. Most nurses encounter patients who are involved in the Criminal Justice System (CJS) at some point, whether in hospital, schools (where a parent is in prison, or a GP practice where patients have substance misuse issues. This thought-provoking book offers an understanding of the challenges & opportunities of caring for those in contact with CJS. Written by a range of experts, the book takes the reader along the health & justice pathway, from initial patient contact in police stations (written by UKAFN’s President Jennie Smith), to care in courts, through prison & finally into the work of the multi-disciplinary team in the community. 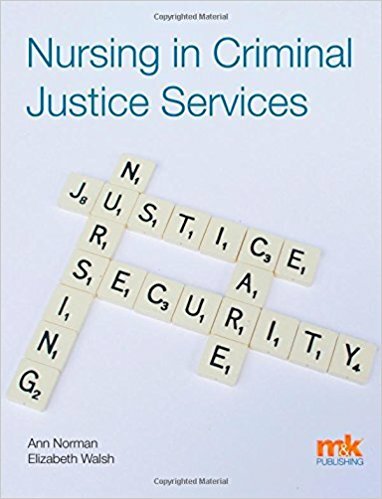 It also addresses some of the broader issues facing nurses working in CJS, including governance, legislation, professional development & the need to reflect on practice. Importantly, the authors challenge some frequently held beliefs about people in CJS, where staff have to manage the competing priorities of providing care & ensuring security. They show how, at its best, this type of nursing can provide safe, compassionate care for vulnerable & often frightened people, leading to hugely improved outcomes for offenders & ultimately society. Written & edited by the USA’s most respected authorities in forensic nursing & forensic sciences, this edition provides the tools & concepts needed to collect evidence that is admissible in court, determine the significance of evidence, & provide accurate, reliable testimony while administering high-quality patient care. In full colour (Contains 300 full-colour illustrations), it remains the most comprehensive, highly illustrated text of its kind. 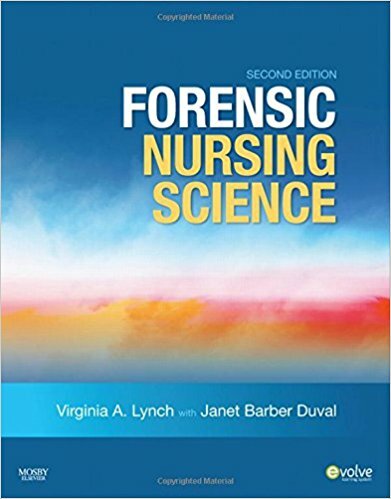 Providing a comprehensive, guide to forensic nursing science, paying special attention to the International Association of Forensic Nurses (IAFN) goals. Retains a focus on assessment skills & the collection & preservation of evidence. Prepares you to provide testimony in court. Includes illustrated case studies, helping you relate the information to clinical practice. Explores the evolving role of forensic nurses in today’s health care facilities & the community. Medical evidence plays a vital part in many criminal prosecutions, most notably when serious injury or physical abuse is part of the prosecution’s case. 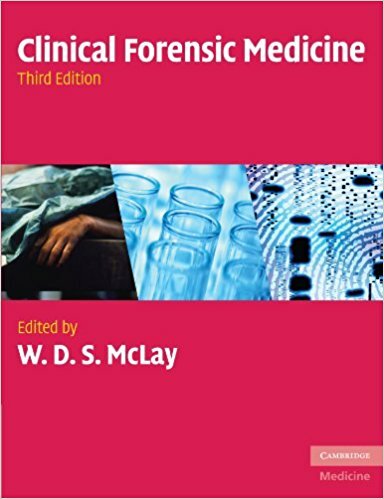 Now in its third edition, this book is an essential text for healthcare practitioners of clinical forensic medicine & for those who take them through judicial proceedings, be they prosecutors or defence lawyers. It is written by a team of skilled & experienced authors with practical issues firmly in mind. The book has been revised to take account of changes in both statute & case law that have occurred since publication of the previous edition as well as improvements in medical & scientific understanding. In particular, the approach to uncertainties in child abuse has been brought up to date & a completely new account of blood-borne viral diseases is included. This landmark practical guide assists all those involved in monitoring detention conditions, investigating & preventing torture. The prestigious global author team identify the medical, legal and professional frameworks & international instruments applicable to those detained, & highlight how torture or other cruel & inhuman degrading treatments or punishments are identified, investigated & should be prevented. Covering a wide range of settings including police stations, prisons & mental health. 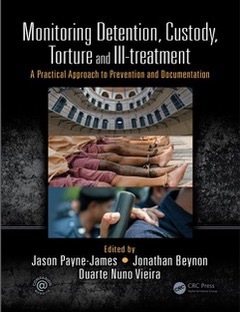 Challenging, thought-provoking yet thoroughly practical, this book is essential reading for anyone involved in the monitoring of detention conditions & the treatment & investigation of individuals in any form of custody.